Terrific shadow shot! And that's what I think! Enjoy your weekend -- or what's left of it! Great stuff - how did you get it to stand like that...? Happy SSS! I think that can posed for you! 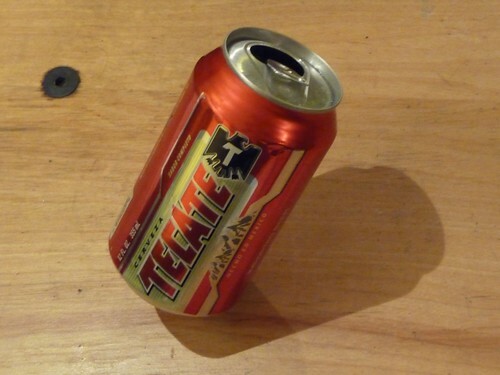 A mexican beer can!! makes me feel right at home! very clever - I like it!! Beer is good for you and me. Great shot! that can's standing at an interesting angle! A creative shadow shot; good trick! tilt shift that into a teeny tiny beer yo!! Cerveza is not my drink of choice (I prefer vino) but I must admit, this is a great shot. Really great composition, very original. I have no idea how did you do this?